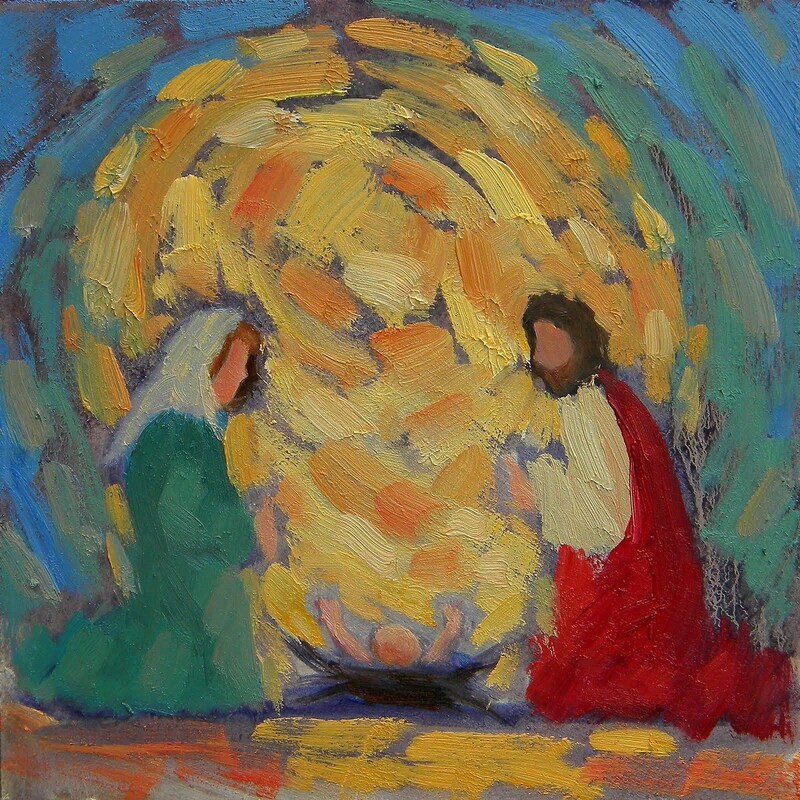 Advent concludes on Christmas Day, and the theme for this final Advent devotional is Jesus. The old and well-worn adage reminds us that, “Jesus is the reason for the season.” I don’t know; it may just be me, but I feel that amidst all the loving gifts and well intentioned activities of the holiday, we may have lost sight of what it means to have Jesus as the reason for the season. As I was thinking about this and searching for the reason that would make this saying true in my life this year, I remembered a line in the fifth verse of the Christmas carol, O Little Town of Bethlehem (underlined below). I’m not sure why, but when I remembered that line, my first thought was, “How is born spelled in the song? Born, or borne? It’s more than obvious that when we celebrate someone’s birthday, we are celebrating the day they were born. But, it is much more than that. 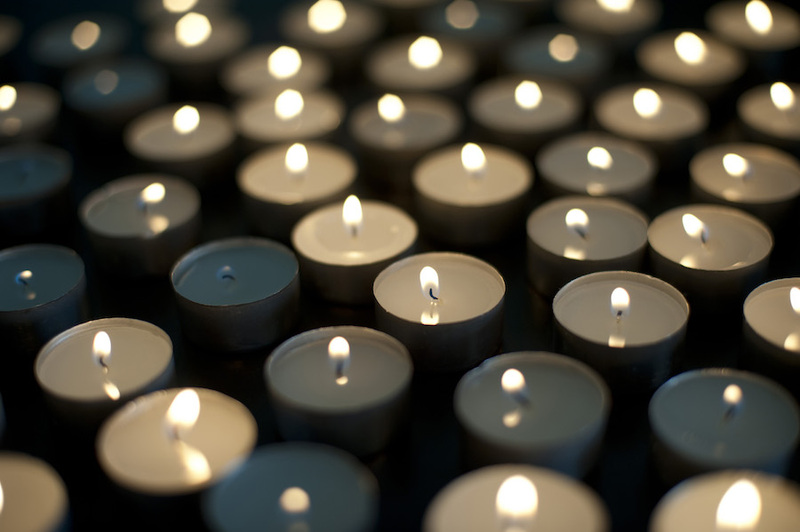 It is celebrating their life, and especially with Jesus, the continual impact his life has in our lives today. So, as we celebrate Christmas this year, may the life of Jesus birth something new in our hearts and lives. May we also faithfully bear the image of Jesus through the ways we love God by loving others – Jesus, being borne in us today. This entry was posted in Uncategorized and tagged Advent, faithfulness, Jesus, love on December 23, 2015 by Brook Fonceca. Jesus shared these words as his life here on earth was drawing to a close. These words also form a book-end with the greeting the angels gave at his birth. As I think of peace this Christmas, I can’t help but seeing the end from the beginning. The angels foretold of the peace that Jesus would bring and the good will that all humanity would enjoy as a result of his life. This peace on earth and good will for humanity did not end when Jesus’ earthly life ended. He gave us the Holy Spirit, God’s Spirit of love and peace, that now lives in us and empower us to be God’s agents of love (good will) and peace in our day to day world. My prayer is that as we establish our lives on the hope of Emmanuel (God with us) we would discover the peace emanates from that same source, the gift of God’s-self in every moment of our lives. This entry was posted in Uncategorized and tagged Advent, peace on December 4, 2015 by Brook Fonceca. 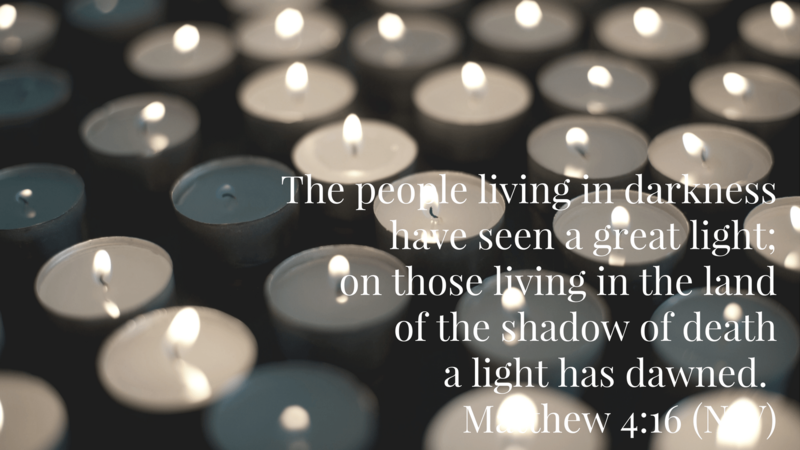 This Sunday begins the season of Advent. Traditionally, Advent is the time that Christians revisit the story of the birth of Jesus. This story, though, doesn’t begin with Mary and Joseph and the angels. It actually begins in the book of Genesis and continues all the way through the Old Testament and is culminated in the stories that the Gospel writers share with us in the New Testament. The back-story in the Old Testament unfolds through prophecies or foretellings that speak of a Messiah who will deliver the people of Israel from captivity to other nations and to the sins that continue to bring them down. These foretellings brought hope to God’s people throughout the ages. This hope was fulfilled in the coming of Jesus as God with us. 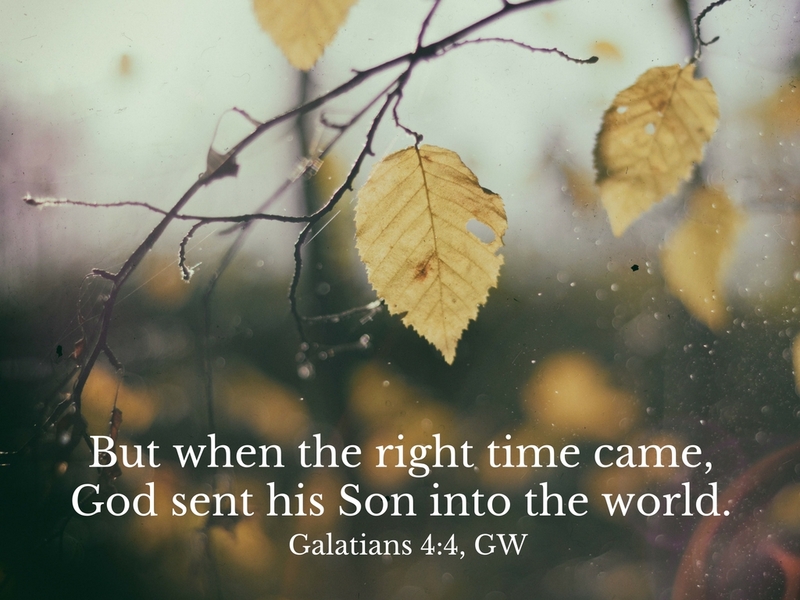 Now as we retell the story, we too can bring hope to those close to us that God is with us and will continue with us until all things are made right in Christ. As we begin this Advent season, I pray that your hearts will be filled with hope as you experience the closeness of Jesus and are able to share that with those close to you! This entry was posted in Uncategorized and tagged Advent, hope on November 27, 2015 by Brook Fonceca. I trust that you had a wonderful Christmas! This is the final installment in the Embracing Advent devotional series. We walked through embracing hope, peace, joy, and love. Now, we conclude with some thoughts on embracing Jesus. We see in the Christmas narratives in Matthew and Luke that all along people needed to make a choice to embrace this child, Jesus, and his family. As each one did, they realized that it would be a tremendous blessing and as well and a serious cost. Let’s take Mary as an example. The angel promised her a son as her first born, which in and of itself is a great blessing in her culture. This son would also be the Messiah. She was overjoyed! So overjoyed, in fact, that she burst into song over it! 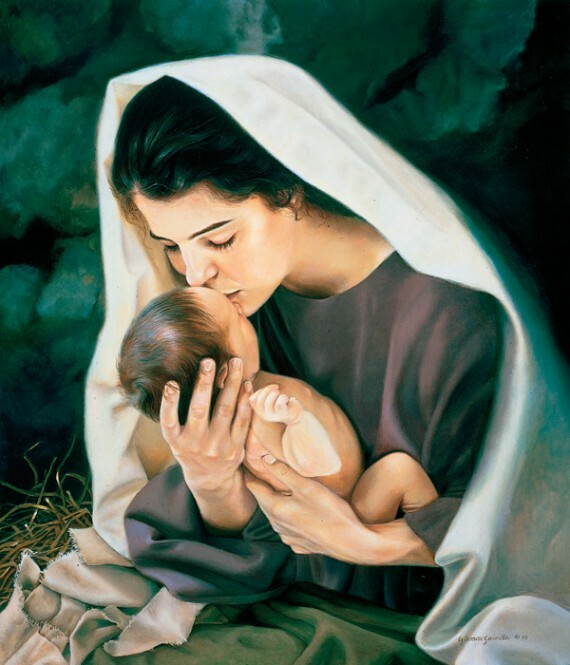 (Luke 1:46-55) She also knew that she would be judged and misunderstood as bearing an illegitimate son, even though Joseph embraced Jesus as his own. At Jesus’ birth his arrival was announced by angels and proclaimed by shepherds, but she also stored up all these events and announcements, pondering what they could mean, questioning, even arguing with herself, as she came to terms with the future of her son and her family. This was confirmed for her at Jesus’ dedication at eight days old when Simeon, a righteous and devout man, broke into praise at the sight of the baby Jesus. His words were concluded with the warning that Jesus would bring about significant change religiously and politically, that he would be the object of opposition, and that, spoken to Mary, “a sword would pierce your own soul too.” (Luke 2:35) The beautiful thing about Mary is that it seems there is no cost too high in her obedience to God and in her caring for those God has given her. As the Christmas spirit continues with us in our holiday celebrations, what is it that we can take away from Mary’s example? What does it look like for you as you embrace Jesus this Christmas and in the new year? The blessings are numerous, such as God’s active presence in our lives through the indwelling of the Holy Spirit and through the people we live and gather with on a daily and weekly basis. The challenges are no less numerous as we embrace Jesus, taking seriously the command to love God by loving others. The blessings and challenges are as unique as each individual that considers them. I pray that you take a few moments to reflect on the blessings that are afforded you as you embrace Jesus, and that you seriously consider the challenges that come your way as well. The kingdom way of Jesus is the do the hard work of embracing Jesus through the challenges, allowing the God’s Spirit to empower us so that we can become the reflection and presence of Jesus in our world. This entry was posted in Uncategorized and tagged Advent, Jesus, love on December 26, 2013 by Brook Fonceca.